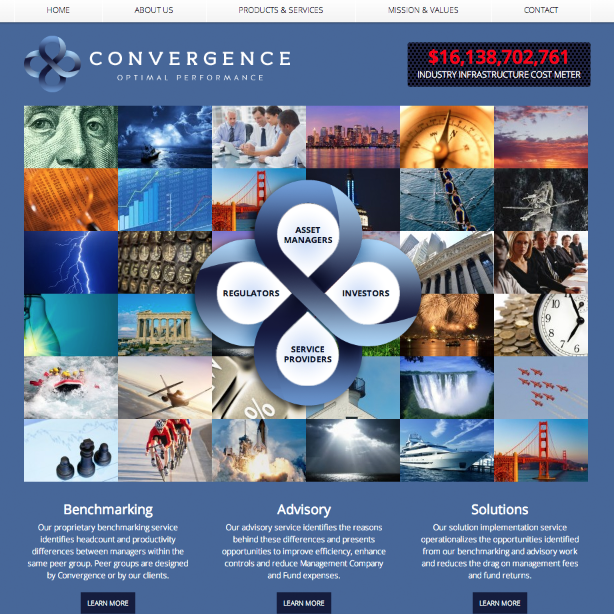 We built this website from scratch for our client, Convergence, LLC. 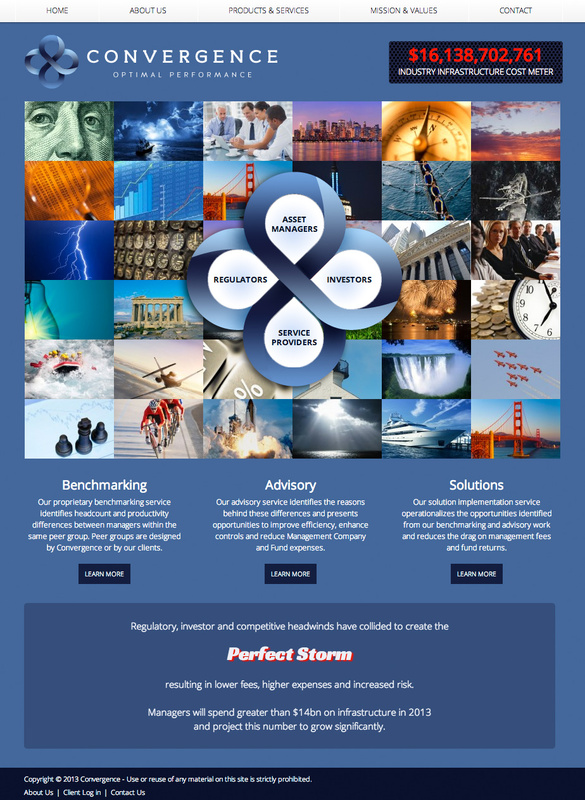 They were looking for a splash landing page which we were able to design with HTML5 so that it is compatible on all devices. The custom “Infrastructure Cost Meter” was also built with a custom backend to give the admin control over the value and increment rate.